visited mid september 14. was not that crowded, not that packed either. the clubs and bars were busy though. the weather wea really warm and the sea as well. stayed at maria's studios 2minute wakl from the beach. our holiday highlight were the turtle island visit by speedboat, the swipwreck excursion by boat, and our spa day at majestic. all booked by ourselves. one week passed by really fast relaxing yet enjoyable. Sadly Laganas has gone downhill rapidly over the past couple of years. If you're on an 18-30 holiday, then you'll be okay, as you'll have one helluva party. However, you'll all probably be too drunk to notice a lot of bars and restaurants have closed down. Young revellers are going out at midnight and coming home early in the morning, so the restaurants are losing a lot of business. Sadly the young revellers will move on to somewhere else next year, or the year after, and I fear the once vibrant resort of Laganas will die. just got bk today. was there for a week. everywhere shut. only decent places were plus n medousa. cocktails n dreams n cherrybay was shut. all big clubs shut. wont b goin in oct again. a lot shut down!!! bit disappointed lyk! Me and my friend were desperate to get away from England so we booked a last minute deal trip to Laganas but we fly out on the 18th of October, will it be too quite by then as it's end of season? I wanted somewhere busy with loads of bars which are open still! Will i be dissapointed? I was in Laganas in July and had the holiday of a lifetime... we are thinkin of goin back in September 4 a week... any1 know what it's like in September??? Is the strip still busy? and weather?? Miss it loads, Im dying to go back to Mad Murphys and Medousas! this place is the don!!!!!! no matta how old u r!!!! lol. theres a place 4everyone in this resort we have been comin eya 4 15years now!!! yes lots has changed but we still love it just like we did the first time!!!! hi all me and a mate went to laganas in september last year, was a last minute deal so we didnt know what to expect. we stayed at the TZANTE hotel which was a really nice place to stay n only 50 metres from zeros and rescue which was brill when u can just roll home lol! anyway for all those people goin for the first time it was class n loads of talent out there as well lasses so make sure u pack your pullin gear!!!!!! Hello girls lol. Well me and about 25 of my mates stayed in Laganas around the end of July last year, this was definatly a good time to go if you love partying. We got there at around 6am and if Im honest it looked like a dump and I thought 'What have we let ourselves in for?' To be honest it is a dump - Laganas anyway but what do u expect. We stayed in a hotel called The Fantasy but I think it goes by various names which is clever cos it wasnt great although the pool area was quality with its bar and dance music as well as some lovely girls lol. There are some good clubs and some not so good ones. Cherry Bay Beach Bar is pretty good, various music and a good atmosphere.Rescue/Zeros is a good place to be and the barmen do firebreathing to real banging tunes like Operation Blade or Firestarter, its an amazing sight, dont get me wrong the geezers all oiled up is not 4 me lol but the way they do it is brilliant!. Bad Boys is pretty good it has a bit of rnb n hip hop. I spent a lot of time as well in Mad Murphys the irish bar as I have a soft spot for Irish girls! lol. All Ill say is dont get roped in byt the 18-30 reps if ur going with them, the excursions are what u make of them but I personally feel its a rip off. It was a quality holiday, I wont go back but I had a quality time. Anyone who wants to ask anything else you can email me on jamescrockford1985@hotmail.com. stayed at the hotel pallas from 28th sept to 5Oct 06. Went with a friend from work. The hotel was a wonderful clean & spacious environment. The pool was fantastic & deep. The balcony had superb views overlooking the mountains & olive trees. The hotel was welcoming & inviting. The beach was fantastic. Managed to see a turtle. nightlife was average as we went at end of season, but cheap cocktails which were lovely to taste. 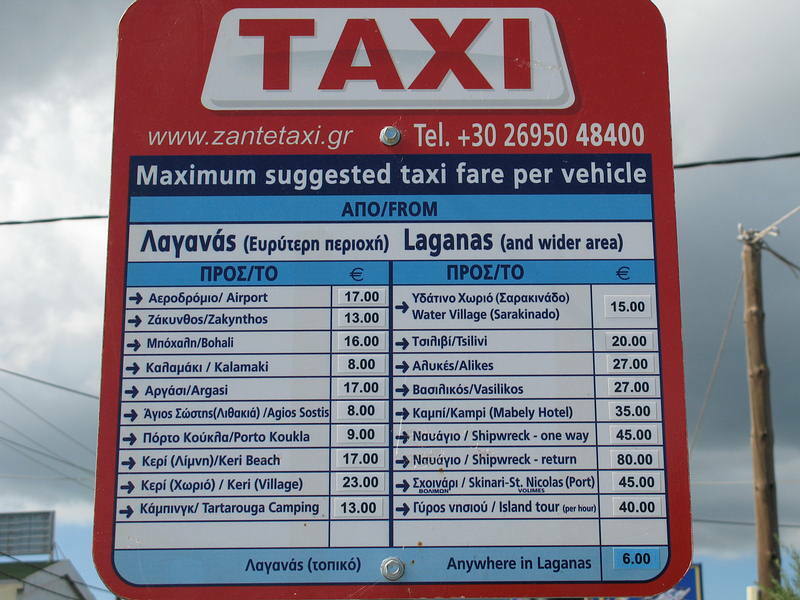 The Shopping in Zante town was ok. Went the Monday morning, everything closed by noon!!!! The excursions we booked ourselves, not by a rep. It was good value for money & really enjoyed it. The weather was good. Loved the massarge on the beach. So soothing to hear the waves & have the sun on your face as you relaxed. my family and i have stayed here for the last three years ,this year just my husband and i coming back next year with family.We always stay at the villa spiros absolutely fantastic, warm and friendly we have met some wonderful people look forward to seeing you all again next september. 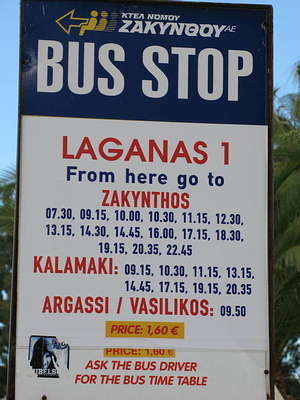 We stayed at Hotel Ikaros, Laganas, 5 minute walk from all of the night life! Really recommend it, the people there were lovely! Big up for Mike and the lads there. Had a lovely stay. Just got bk from Lagana..had an absoloutly fantastic time! 1st hol abroad without the rents...so much better without them! Got the holiday blues now, didnt realise how depressin england was until i got home . Thinkin of goin bak in October (dus ne1 no if its still busy at that time?????) Went on the boat trip all around the island...err wudnt do that again, think its more 4 older ppl. nightlife was ace...Cocktails and dreams n Cherry Bay was the place to be! Met loadsa ppl in there..but did like to go to x paradiso to start off the nite plus there pr's a gud laff. Must go on the Play Away bar crawl and moonlight madness if ne1s goin.muny well worth spent...jus becareful of the free shots they give u after draggin u into the bars, will say no more, u can find out 4 urself. less of the talk now. Definetly goin bak next yr!! Definetly!! Laganas was amazin. Rescue is the best night club in the world!!! !